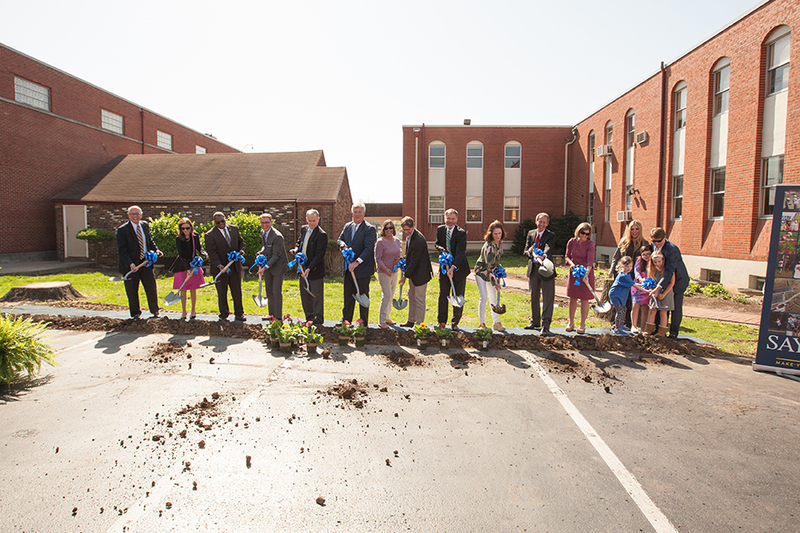 On Thursday, April 13, 2017 parents and trustees assembled at the site of the new Sayre Lower School for the official groundbreaking ceremony. Head of School Stephen Manella, Mayor Jim Gray, Board Chairman Ben Haggin, and the Head of Lower School Annie Papero addressed the Lower School students and guests. Major donors Mrs. Deirdre Lyons, Justice Laurance VanMeter, Mr. and Mrs. Rudy Schmidt, Mrs. Becky Goodman, Mrs. Jacquelin Murphy, and Mr. and Mrs. Peek Garlington and family assisted Stephen Manella with turning over the first shovels of dirt.